Hi Scrappers! I hope everyone is having a great week! I know my Tuesday sucked. The great weather around here means my allergies flared up and I was MISERABLE! but after some nyquil and dayquil I'm doing better.Hope no one else is struggling! Most of them have a color palette in mind when they come to me or even if you don't, I can suggest some. I'll design 3 or more variations for you at first so I can get an idea of what you want. We move from there. Personal or business logos, I can do both! Prices start at just $10! 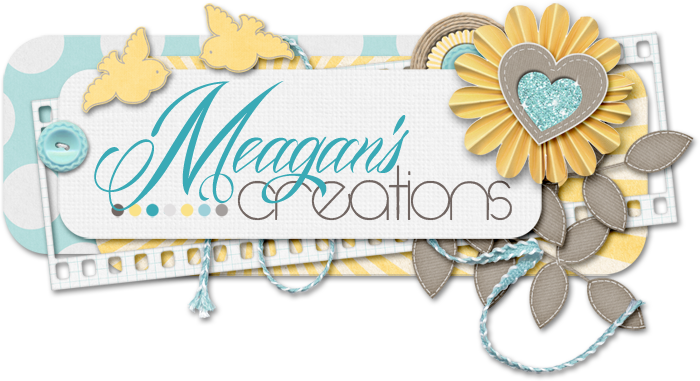 So, contact me @ meagan2t@gmail.com and we can begin taking a look at a custom logo for you today!